The banana is a delicious fruit, nutritious and that brings a strong feeling of satiety. It is ideal for certain moments of the day but is less recommended with some other foods. In this article, we will explain what its properties are, we will tackle its virtues, and we will then introduce a banana bread recipe, and finally, we will tell you the best way to eat a banana, so that it does not make you fat. What are the Nutritional Values of Banana? A 100 gram banana contains approximately 100 kilocalories, 1 gram of protein, 25 grams of carbohydrates and less than one gram of fat. It is also composed of 3 grams of fiber. Banana is rich in vitamins B6 and C, folic acid and minerals such as magnesium and potassium. Although banana is a fruit, its nutritional value makes it belong to the starch category, along with other foods such as potatoes, cereals, flours, peanuts, etc. This point is fundamental when it comes to determining when to consume it and with what foods it is good to mix it or not. When is it Best to eat Bananas? Starches have the main characteristic of bringing energy to our body and being long to digest. This is why it is not recommended to eat at night because it is at this time that they make you fat. Everything we consume at night must be easy to digest. On the other hand, starches are excellent in the morning because they provide us with the necessary energy for the whole day. There are also appropriate times to consume bananas: in the middle of the morning or in the middle of the afternoon, just when we are hungry and we need a snack that satisfies us without it make you fat. Bananas will satisfy us easily without the need to consume refined sugars, fats or other less healthy foods. In addition, they are easy to transport and eat. Finally, it is recommended not to eat more than one a day, precisely because its nutritional values are complete. The only indication to take into account is that the banana should always be eaten ripe because otherwise, its digestion is difficult. In addition to all that we have emphasized, it offers countless culinary possibilities: it gives a creamy texture and it sugars milkshakes. This allows you to add other healthy ingredients that are less tasty but beneficial, such as a green vegetable, brewer’s yeast, vegetable drinks, etc. A very original and light way to make a banana ice cream: peel ripe bananas and freeze them. When they are frozen, mix them in a robot with a yogurt. You can then eat it directly or freeze it a bit more if you prefer harder. You can add hot chocolate on top if you want a nice and delicious dessert, or you can take in a more original way, like banana bread. Why Should You Eat Banana Bread on Morning? 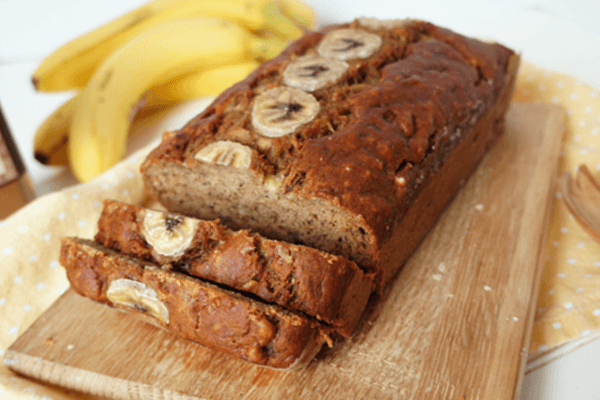 Banana bread is the meal that you can prepare for yourself at home when the children are sleeping so as to give yourself the perfect breakfast to eat. In fact, it is very nutritious (you add nuts, and off you go!) And when you take it with a coffee, an apple and a yogurt, you will definitely start your day in a preachy way. Full of energy. The realization is rather easy, and its cooking takes about 1 hour maximum. First, preheat the oven to 200°C (thermostat 6-7). Then, in a large bowl, crush the bananas, add the eggs and mix vigorously. Then add the dry ingredients to the banana mousse. You can choose to add nuts, raisins or some Rhum.